Many others would agree with her, and the list of fashion companies to have ditched the material is already substantial: Gucci, Michael Kors, Armani, Calvin Klein and Vivienne Westwood represent just a few of the luxury brands to have already gone fur-free or plan to do so in the near future. But not everyone shares this point of view. Fur has a long history within the fashion industry. It is a material that has inspired brands to produce innovative designs and is often passed down through generations of family members, creating a deep emotional connection. The ethics of using fur are also hotly debated: some believe animal welfare standards are stringent enough to allow for the ethical production of fur, while others will always be vehemently opposed to removing an animal’s skin for a scarf, coat or pair of boots. Attempting to topple a $30bn (€25.7bn) industry was never going to be easy, but anti-fur campaigners have been emboldened by a recent rise in ethical consumerism. A 2017 study conducted by Unilever found 33 percent of consumers around the world now choose to buy from brands they believe to be doing social or environmental good. This has left the fur industry in a difficult situation. While many are quick to champion the high standards of animal welfare implemented across fur farms, there’s also a wealth of videos online appearing to show animals living – and subsequently being killed – in shocking conditions. Yvonne Taylor, Director of Corporate Projects at PETA UK, is unequivocal about what life is like for animals in the fur trade, whether they are reared on farms or caught in the wild. “About 85 percent of the fur sold today comes from factory farms, where the most commonly bred animals are minks, followed by foxes,” Taylor explained. Although animals used for fur in emerging or underground markets may well exist in inhumane conditions, strict standards concerning killing methods, international trade and animal welfare do exist in Europe. While impartiality is difficult to find in this particular debate, WelFur, an animal welfare programme initiated by Fur Europe, is trying to use facts and statistics to help consumers make better-informed decisions. WelFur encompasses a certification programme that is based upon assessment visits conducted by an independent company called Baltic Control. This means the fur sector has no influence on the results of its assessments. “WelFur is now being implemented across European fox and mink farms,” Nielsen explained. “It is entirely based on research from the past 30 to 40 years conducted on fur animals and put together into assessment reports by scientists from seven different universities. Given everyone will have their own set of ethics determining whether they support the fur trade or not, education on the subject is key to ensuring individuals make an informed decision. Programmes like WelFur and Fur Europe’s Open Farm scheme, both of which grant first-hand insights into the industry’s animal welfare standards, are needed to provide clarity in an understandably emotional issue. Only then can consumers make a decision whether or not to buy fur with a clear conscience. If PETA is to be proved correct in its belief that “the fur industry is headed for the history books”, consumers will need to have access to a suitable alternative. Faux fur has been available for a number of years now but, despite being embraced by high-end fashion houses, celebrity trendsetters and high-street shoppers alike, it too comes with ethical issues. 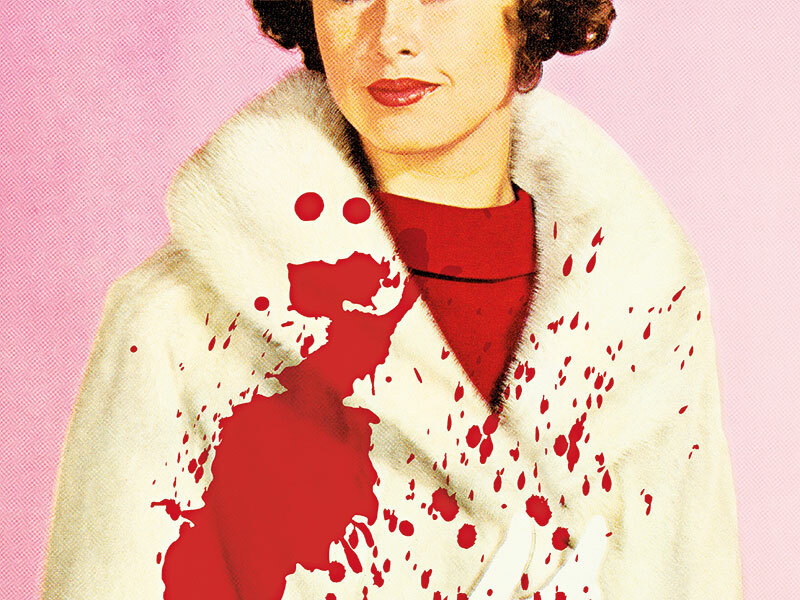 First, there have been numerous examples of brands mislabelling real fur as ‘faux’. Then, there’s the environmental cost of fake fur to consider; dependent on the material used, some forms of faux fur are not biodegradable and when thrown away will lie next to countless other plastic products in landfills for centuries. What’s more, these faux fur items are likely to be thrown out more readily than a piece of clothing made from real fur, which is often used for decades before being handed down as a family heirloom. Fake fur items simply do not hold the same allure and are much more likely to contribute towards our ‘fast fashion’ culture. However, it’s also true that fur farming is not without its own environmental issues. The World Bank ranks fur dressing – the use of chemicals to prevent putrefaction – as one of the five worst industries for toxic metal pollution, while a recent study found unsafe levels of potentially carcinogenic chemicals in the fur trim on several brands of children’s clothing. Looking long term, perhaps science could provide the answer for consumers that desire truly sustainable fur. Start-ups like Vitro Labs are trying to create ‘bio fur’ using stem cells, while the Massachusetts Institute of Technology is currently conducting research into using computer software to 3D print fur substitutes. It will, however, be a long time before these sorts of products end up in stores or on catwalks. And even then, they may bring new ethical objections with them. In the debate between pro and anti-fur campaigners, the likelihood of conciliation looks slim. This is a passionate subject – and so it should be. Animal cruelty, whether consumers are conscious of it or not, should not be allowed to exist in a civilised society. However, while the stand being taken by the likes of Versace, Furla and others is admirable, it would be premature to announce the end of real fur in the fashion industry. Although fur sales in the West have declined in recent years, demand in China is thriving, with retail sales reaching $16.9bn (€14.5bn) in 2015. Even in Asia, though, a slight slump over the past two years suggests consumers are turning to alternative materials. Ultimately, companies will follow their bottom lines when deciding whether to work with fur or not. If consumers begin demanding faux fur in greater numbers, fashion brands will supply it and claim they did so in the name of animal and environmental wellbeing. In an industry subject to the whims of shoppers, however, fur could just as easily undergo a global resurgence. Given the use of fur is such a divisive issue – and there is so much misinformation surrounding the industry – it is vital consumers have access to facts that are disconnected from ideological posturing. Surely, that’s one thing both pro and anti-fur campaigners can agree upon.